Welcome! My name is Lisa Klima, President of SeniorStore.com. I started Seniorstore in 1998 to help people like yourself find the highest quality gifts for seniors after trying to find gifts for my own grandmother. After not being able to find a store that had everything in one place, I decided to start one myself. We've had a series of gift stores on the internet since 1998. Hope these articles and buying guides will help you too! Need help choosing a gift for grandma, gift for grandpa or a birthday gift for a senior? Let our seniors gift idea guide help! We have articles about how to choose gifts for seniors, gifts for grandma and 50th anniversary gifts. Ready to start on your own? 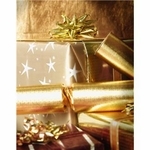 Visit our SeniorStore.com home page to see our gift categories.